The service life of the drive chain is dependent upon proper lubrication and adjustment. Poor maintenance can cause premature wear or damage to the drive chain and sprockets. The drive chain should be checked and lubricated as part of the Pre-ride Inspection. Under severe usage, or when the vehicle is ridden in unusually dusty or muddy areas, more frequent maintenance will be necessary. 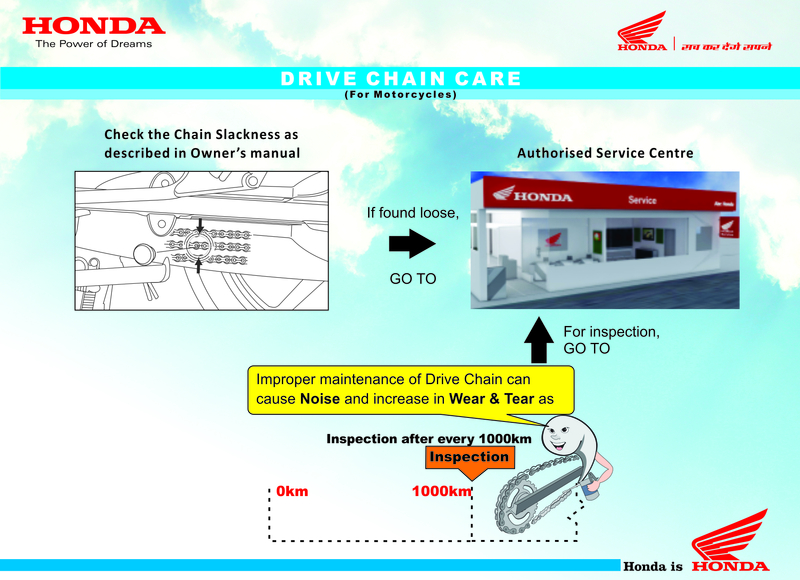 Click here to know the schedule of Drive Chain Maintenance.